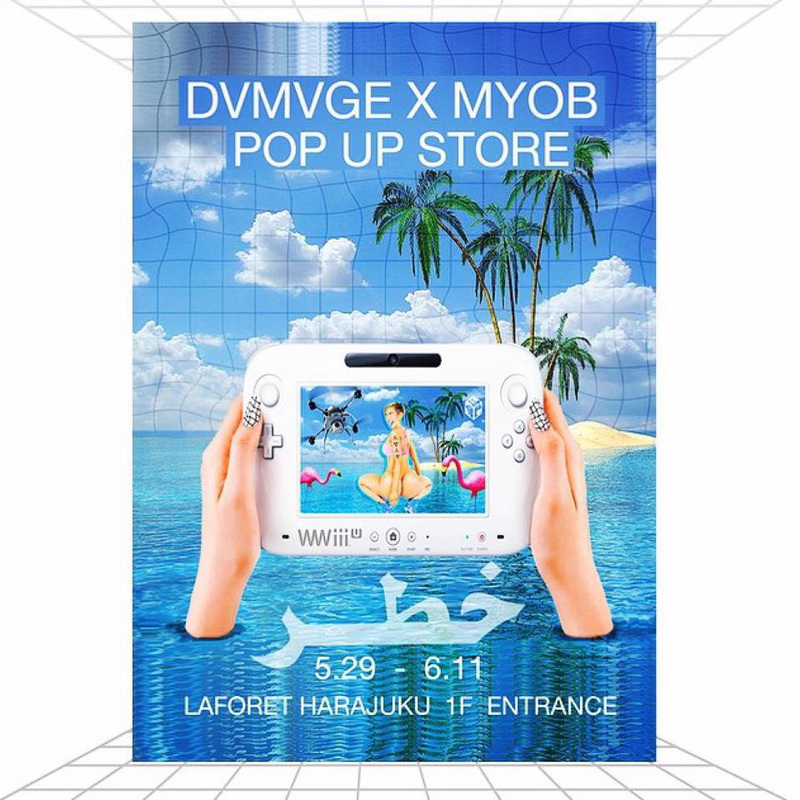 Info on Japanese streetwear brand HEIHEI’s limited time popup shop at the Macaronic boutique in Koenji, Tokyo. Information on Japanese artist Yurie Sekiya’s new “PeroPero Sparkles” popup shop at Isetan Shinjuku – including pictures of the artist during her live drawing event. 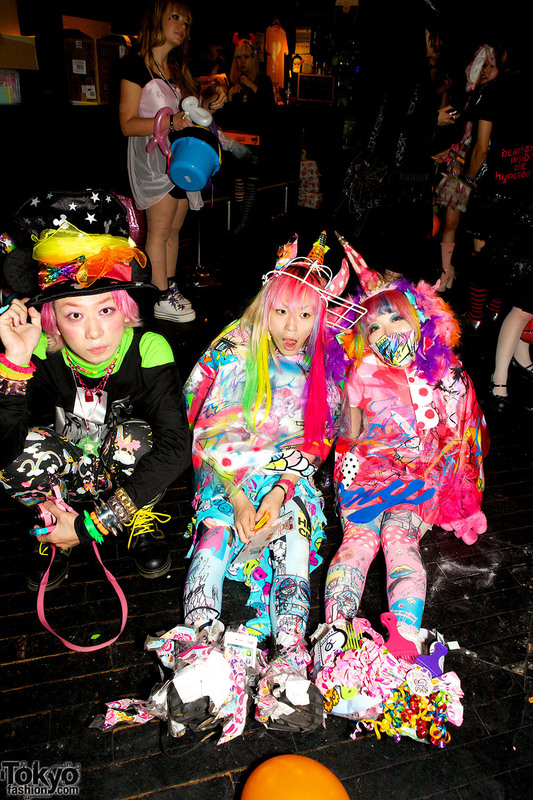 Pictures and video from the Harajuku Fashion Walk-produced Halloween Party Pop N Cute – with fun costumes, fashion shows, music, DJs, sweets, popup shops & more! 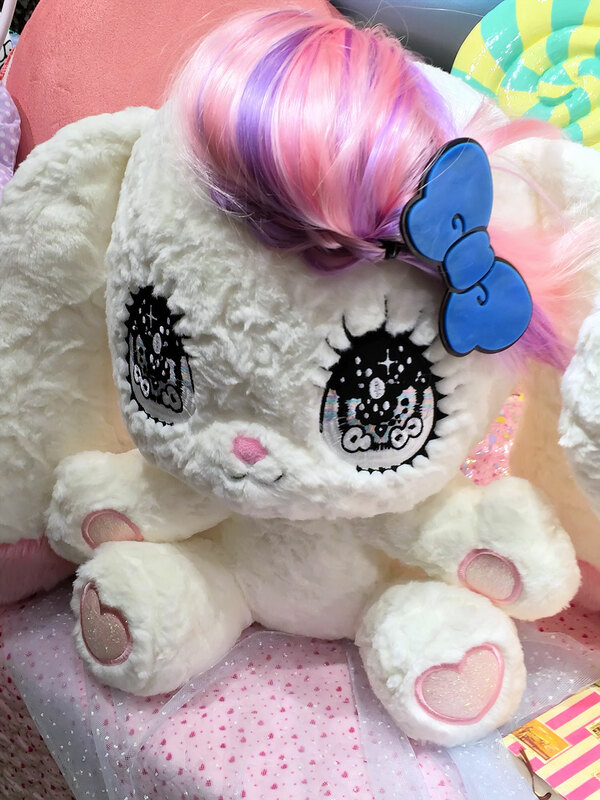 Pictures of Nicola Formichetti’s limited-time NICOPANDA Popup Shop & Gallery at Isetan Shinjuku. 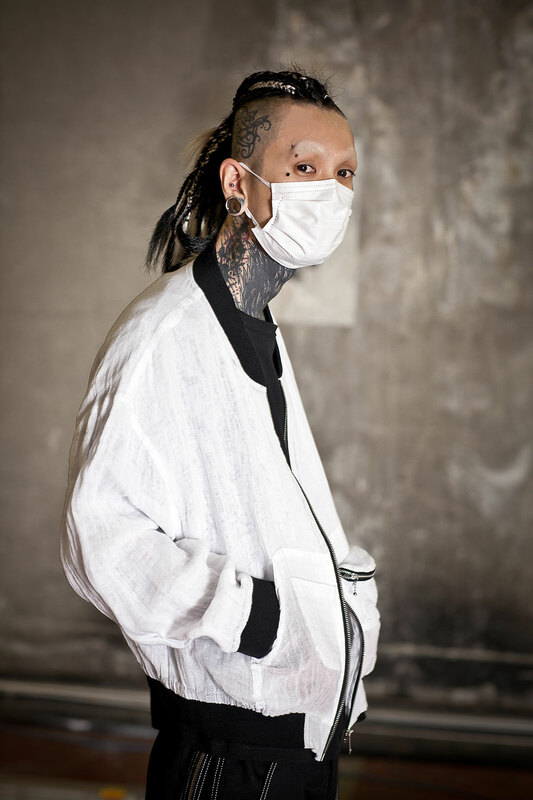 Hirari Ikeda appears in the “Future Fashion” exhibition at the NICOPANDA gallery. 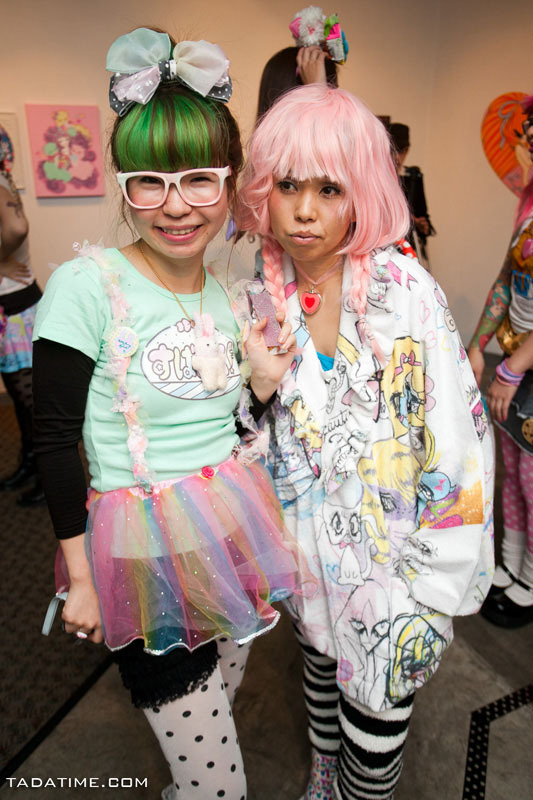 Over 100 pictures from the Los Angeles opening party of the Sweet Streets “American 80s in Japan” exhibition featuring Spank!, Chubby Bunny, and Shojono Tomo.